How To Get Your Site Noticed in Google? So by now, you should have learnt what it takes to build a great website, and how to get it started (provided you have followed this series ofcourse!). What's the next step? To be successful, (almost) every inch of your website should be visible to search engines. But more than that, these search engines should be able to notice your website. In case of Google, some of the steps required include setting up a Webmaster Tools account, submitting your website's sitemap, and making sure your site is all set to be noticed. If you haven't followed up to the series yet, here's your chance to do so! Part 3: How To Get Your Site Noticed in Google? You’ll need to verify your site in Google Webmaster Tools to view the data Google has aggregated from your site, such as search terms your site shows up for in Google Search, how it ranks on those terms, and how many users are clicking on your site's listing. Google Webmaster Tools will also let you know if there are any issues with your site that are negatively impacting its search rankings. 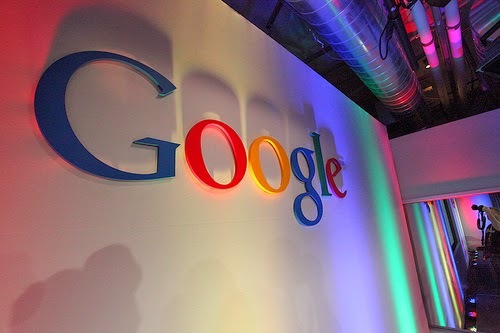 These issues include malware, hacking, or violation of the Google Webmaster Tools guidelines. But for all this to work, you need to get your site verified with GWT first. So how can you go about doing that? We've written a useful article explaining the very process. Make sure you catch it before moving on. Site errors: These are problems that prevent Google from accessing your site at all. These often mean that your site is down, so you should address these issues as soon as possible. Site errors often occur because your server is down or overloaded, or because your site or hosting provider is blocking Googlebot. URL errors: These are problems Googlebot encounters when trying to crawl specific pages. Your site or web host may be blocking access to these pages or a visitor may have clicked a broken link or a link to a deleted page. One of the most common crawl errors is a 404 error, which occurs when a user tries to access a page that does not exist. The page may have been deleted or the link is broken or incorrect. You can safely ignore 404 errors most of the time. But if you're seeing a lot of traffic leading to a URL that 404s, check your site for broken links. While individual pages that return 404 will drop out of Google search results over time, having 404s or other crawl errors will not negatively impact the rest of your website's visibility in Google Search. OK, so you now have a site set up with any errors removed, and some content online. It's time to submit a sitemap. Create a Sitemap to help search engines better crawl and categorize your site. The following link can help. You can also check out the Google Webmasters Google+ Page to get even more help and resources!